Claims are circulating widely that Kanzi, a bonobo or pygmy chimpanzee, has done just this. In fact, the reality is far more mundane than all the evolutionary excitement would suggest. It has been known for some years that Kanzi and others had been trained to use simple symbols to represent concepts like ‘banana’, ‘grapes’, ‘juice’ or ‘yes’. And now it has apparently been shown, from analyzing tapes, that this ape has used four distinct sounds to represent those four particular concepts. 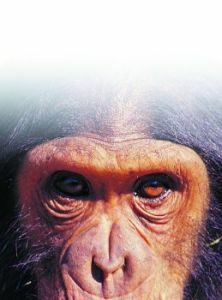 Whether any other ape or human was meant to ‘understand’ them is not presently clear. It should be noted that the sounds are nothing like human speech, not even an imitation of it. An ape’s larynx simply does not have that capability. For example, it can’t make the fundamental vowels (a, o, i, etc.) of the human language. African Gray Parrots, not thought to be closely related to humans at all, do a much better job of using vocalization to communicate symbolic concepts. One of them at least, as we have reported in Creation magazine some time ago,1 has been able to articulate actual English words and link them to meaningful concepts. But because there is no obvious evolutionary mileage, most people rarely get to hear of this. More significantly, neither the parrot, nor Kanzi, nor any other animal, has ever actually used real language. Language does not necessarily have to involve spoken words, or any sounds at all—think of sign language, which is real language. But language, whether vocalized or not, is defined by linguists as more than just the use of symbols. It involves things like syntax and grammar. Therefore, although apes can make signs for a few things, this should never be confused with true sign language. When many deaf children in Nicaragua were raised together in an environment without any spoken language input, they spontaneously developed their own highly complex sign language, complete with rules of grammar and syntax. Human brains carry the intricate programming that makes that possible, even inevitable. Deaf people process sign language in the same areas of the brain in which hearing people process spoken language. But these language areas are unique to humans, and non-existent in non-human creatures. In short, talking apes do not exist. 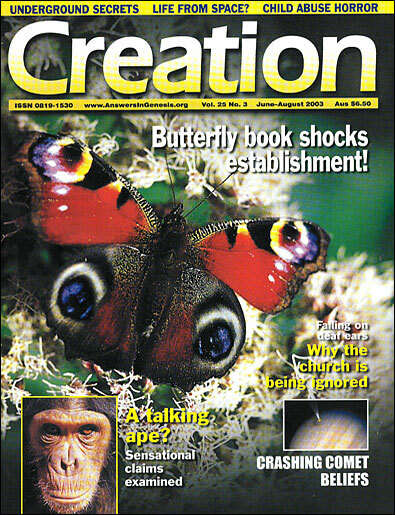 Birdbrain matches chimps (and neither makes it to grade school), Creation 19(1):47, 1996. Return to text.